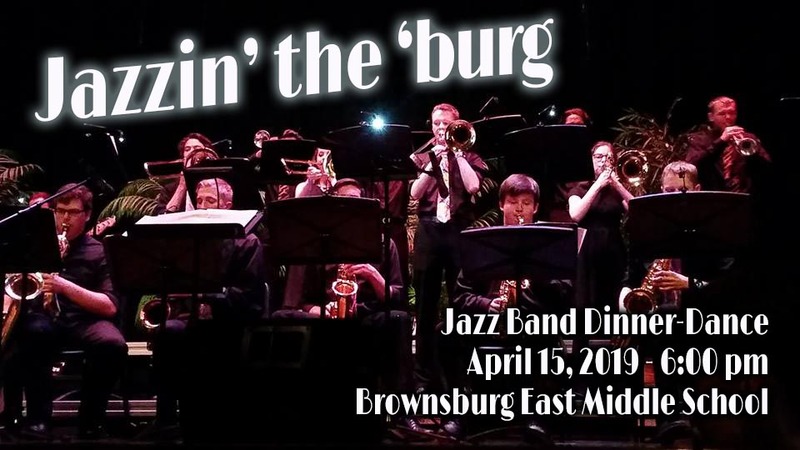 Jazzin’ the ‘burg Jazz Band Dinner-Dance 6:00 PM – 9:00 PM at the Brownsburg East Middle School (BEMS) Cafetorium. All 5 BEMS, BWMS & BHS jazz bands will perform. Tickets will be available at the upcoming high school and middle school concerts. We are still in need of some volunteers for this event. Please sign up here.